Japanese judoka Hitoshi Saito, winner of two Olympic gold medals, has died at the age of 54. The cause of death was announced as intrahepatic bile duct cancer. He died in Osaka on Tuesday. As well as a former Olympic and World champion, Saito was the All Japan Judo Federation training committee chairman at the time of his death. He had been hospitalized since late 2014. In 2013 it was discovered he had a tumour on his gallbladder. Saito won consecutive Olympic gold medals at the 1984 games in Los Angeles and the 1988 games in Seoul, South Korea. He competed in the over 95-kg category. His victory in the Seoul games continued the record of Japan winning a gold in Judo in every Olympic games since the 1964 games, held in Tokyo. He was also named World Champion at the 1983 World Judo Championships in the open weight class. 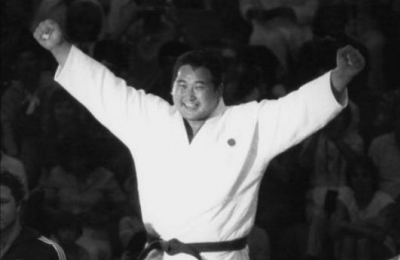 Yasuhiro Yamashita, a fellow Judoka who fought Saito in three consecutive All-Japan judo championship finals, and who also won gold at the 1984 games, commented on his death, "He was my lifetime rival. It is very unfortunate to hear this". Yamashita won all three finals against Saito. A tribute came from Tsunekazu Takeda, the President of the Japanese Olympic Committee. He said "It is all very sudden, so I don't know what to say. [...] As a player and coach he really gave it his all, and we had expectations for him so it is unfortunate. I had the impression he was a serious and conscientious person". Saito retired in 1989. He later went on to become the coach of the men's national team leading them to three Olympic gold medals in Athens in 2004. He also took charge of the men's team during the 2008 Games in Beijing. He became head of the Committee for Enhancement of the All Japan Judo Federation in November 2012.